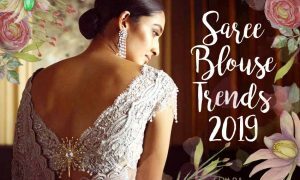 What Should I Wear to My Sister's Wedding in the Summer (Menswear)? 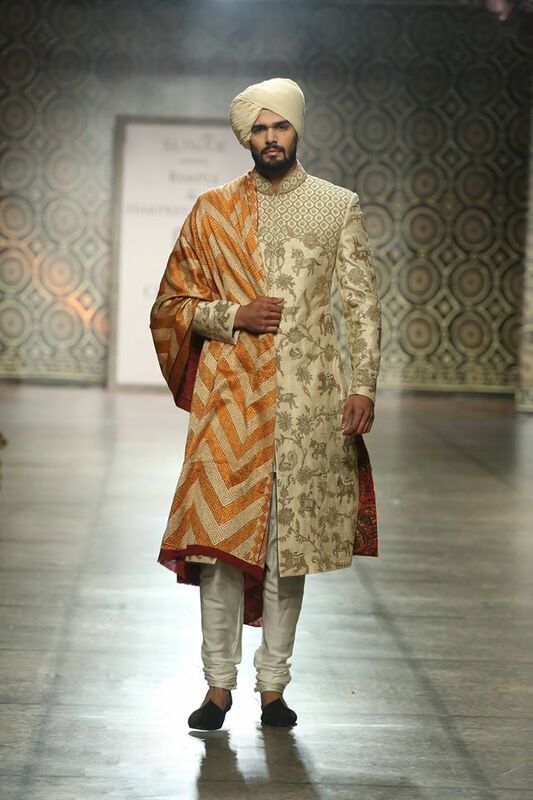 Home » Questions » Men » What Should I Wear to My Sister’s Wedding in the Summer (Menswear)? hello maam I am 5\’11 skinny and fair color type boy What should i prefer in my sister wedding which is going to held in May 2017? 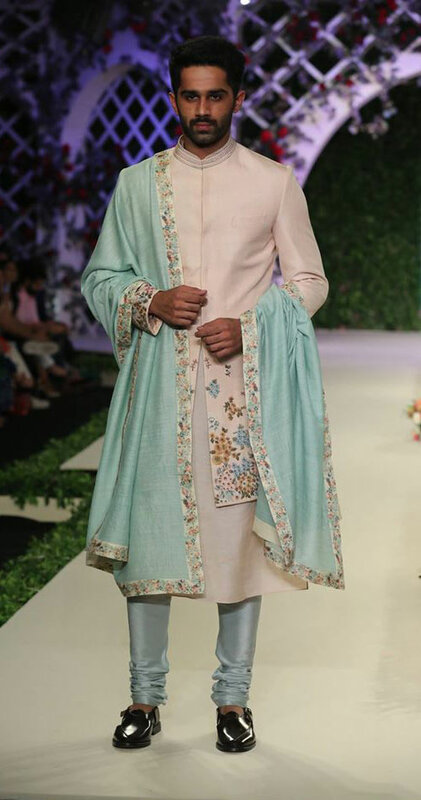 Pls give some ideas for summer wedding wear for men. 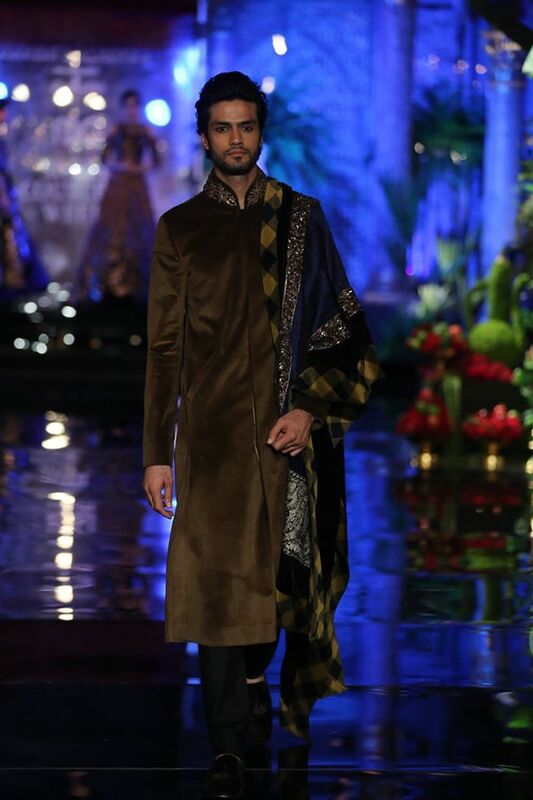 Since it’s your sister’s wedding, I suggest you to opt something comfy as it’ll be a hectic day for you too! 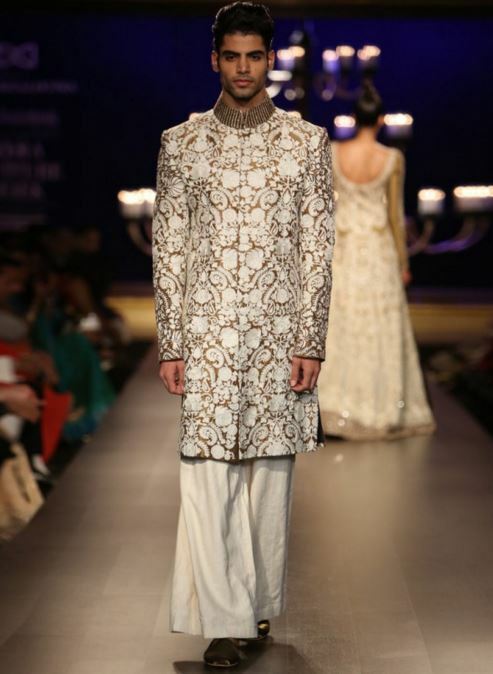 A sherwani is perfect for the occasion. 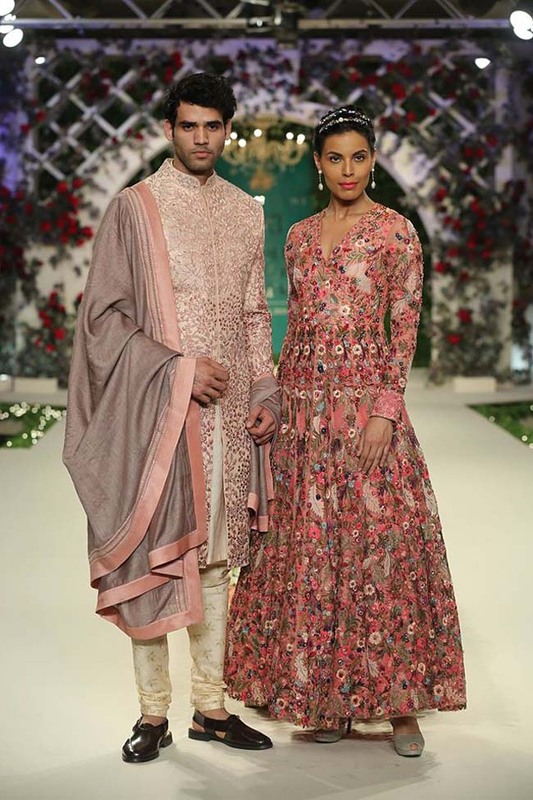 And it’s summer so go for lighter fabric like cotton or cotton silk. 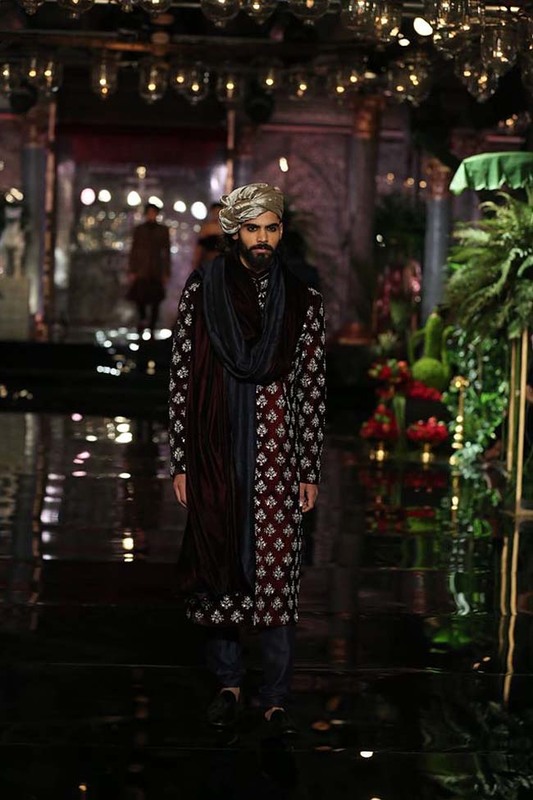 You can try a jacket sherwani or an Indo-western sherwani. 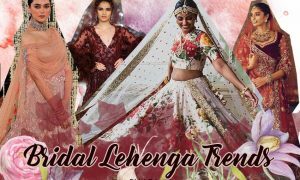 Find all the latest trends in sherwanis for 2017 here. 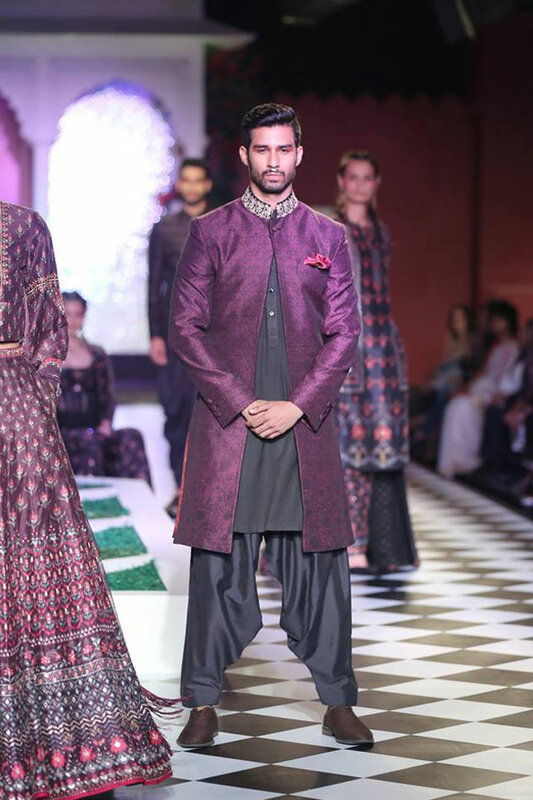 For your height, both plain and embroidered sherwanis would suit you. 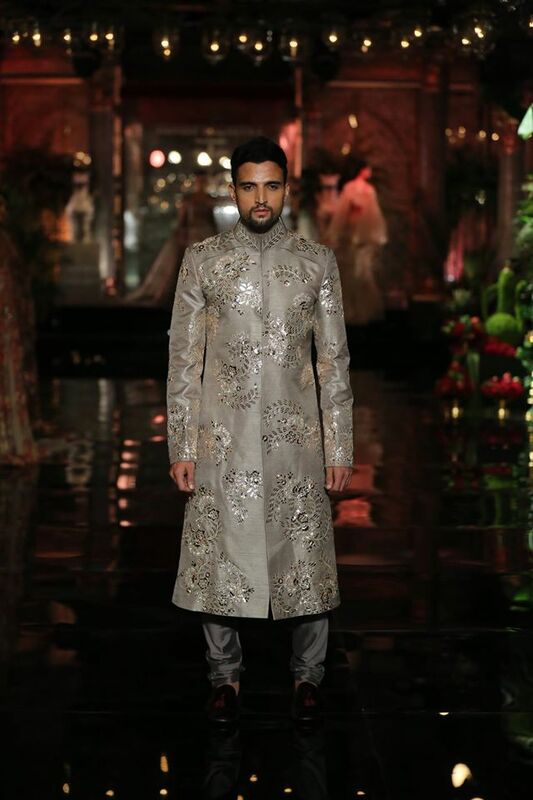 A plain sherwani with heavy embroidered duppata is in vogue this year and it complements your height. 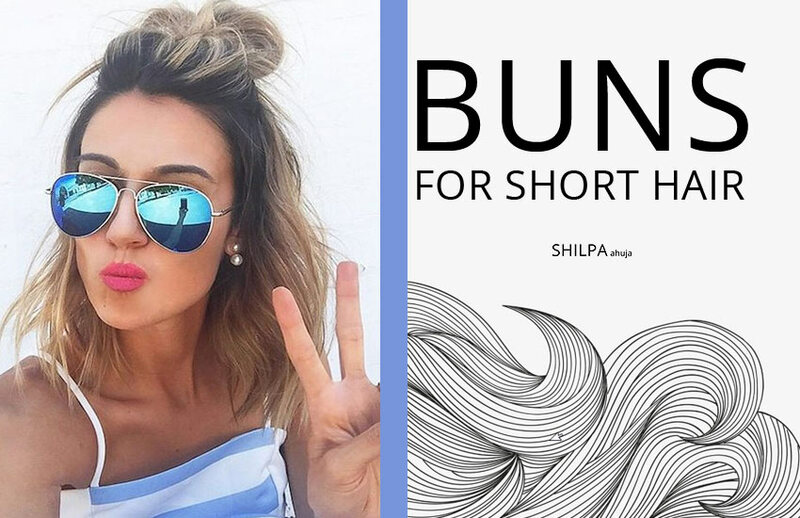 Try light pastels like off-white,sky blue, lavender or pale gold for summer. 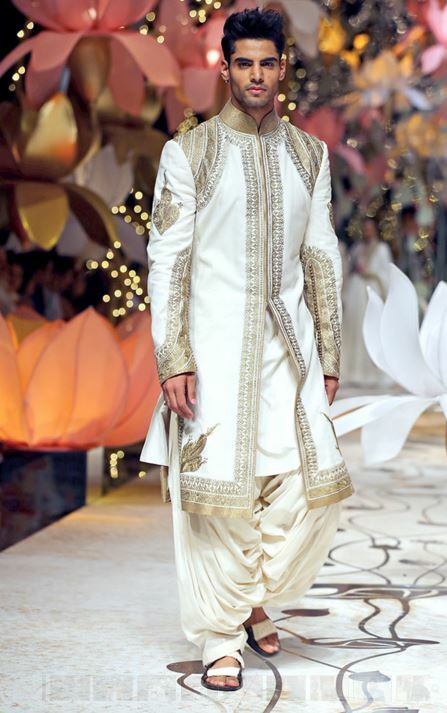 If you want to try something new to stand out, then go for a sherwani and dhoti pant. 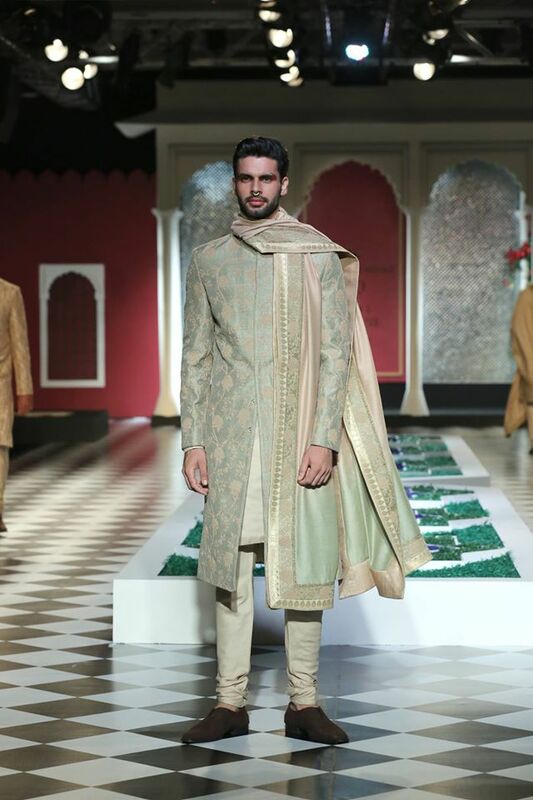 Here are some more sherwani ideas that’d be perfect for your height, skin tone and the summer! 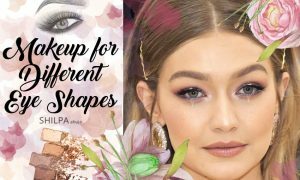 You can also go for pale green or royal colors like ruby red, blue, emerald green and pale silver as they would complement your skintone. 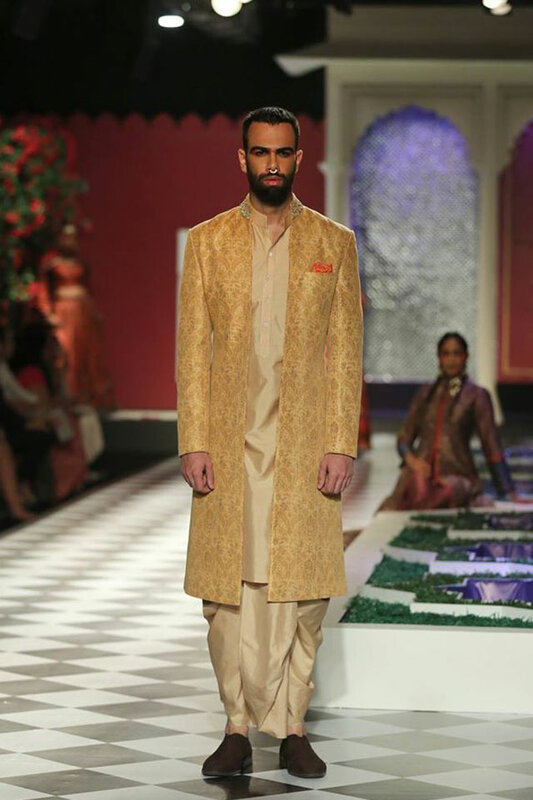 For a casual occasions like sangeet or engagement, a plain cotton sherwani with chooridar pants is ideal. 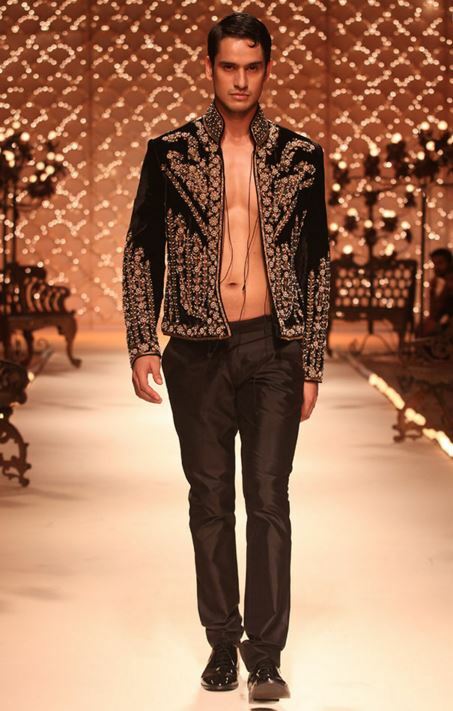 You can also go for an Indo-western outfit like an embroidered jacket or suit, or try a heavy kurta. 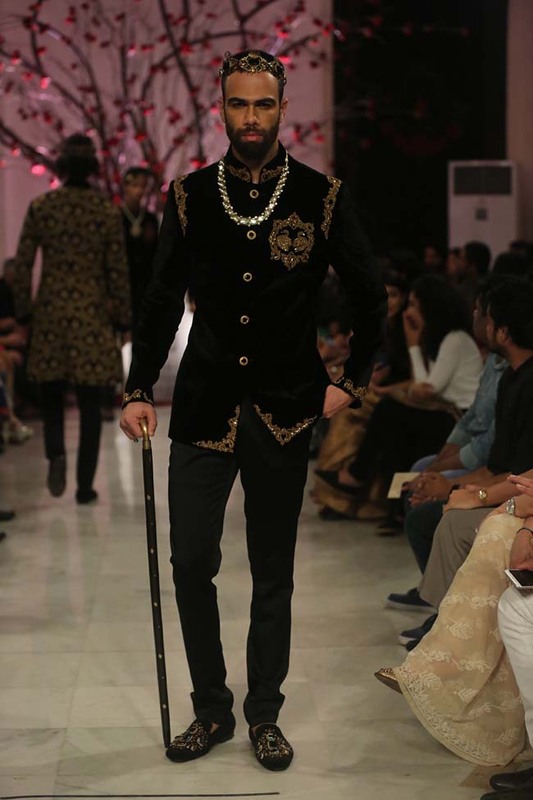 Velvet suits and sherwanis are also very trendy and give a classy look. 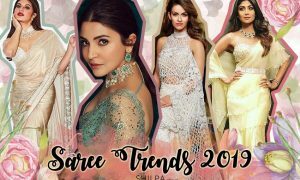 But opt velvet only for a late evening or night functions as it’s summer and you don’t want to make yourself uncomfortable!